Sooner Rover Team takes the first test drive of the SoRo Rover. This thing is unstoppable. Check out the footage! 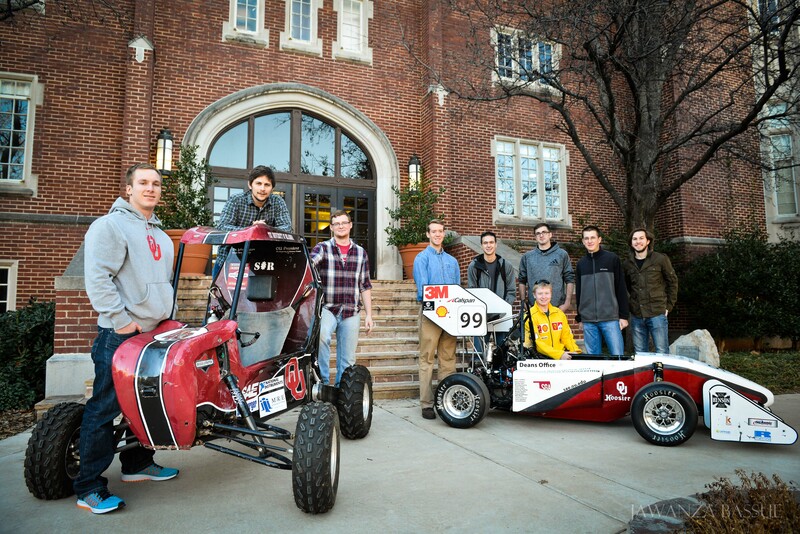 The School of Aerospace and Mechanical Engineering at the University of Oklahoma is excited to welcome NORDAM as a significant contributor to the Aerospace Engineering Capstone Program. 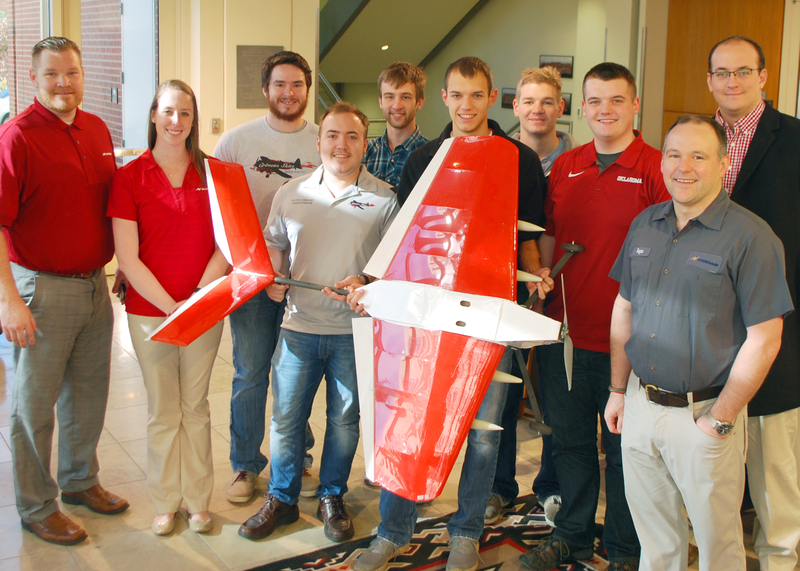 NORDAM gifted $5,000 to AIAA Design Build Fly (DBF), an Aerospace Engineering Capstone team. Because of this donation, the team members will receive an enhanced experiential learning experience while working on their project and finishing their aerospace engineering degrees. 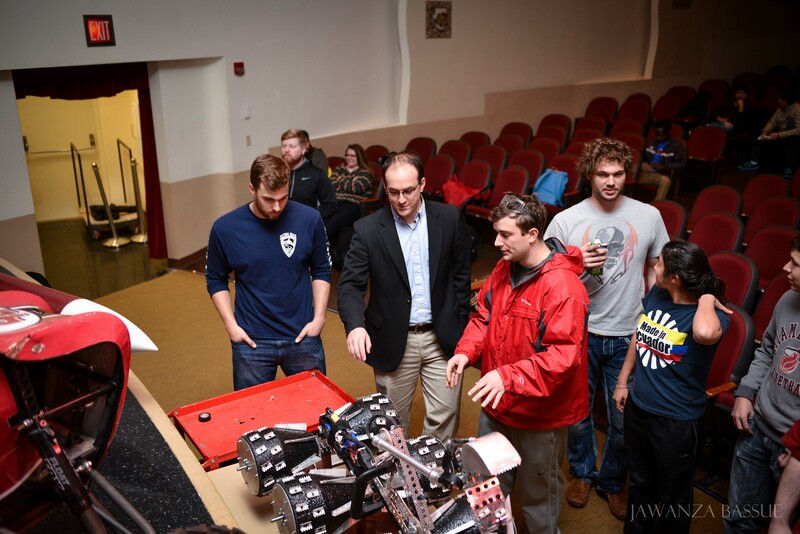 Dr. Thomas Hays, AME Assistant Professor, is the current advisor of DBF and co-chair of the Aerospace Engineering Capstone Program. Like the students, he is more than ready to put the NORDAM donation to good use. The support from NORDAM has enabled the development of a small electric propulsion Dynamometer and the purchase of vacuum pump roll carts, and has also provided materials for DBF’s structural optimization and characterization study. In addition, the vacuum pump roll carts will be mobile assets used by the team to compact composite layups and experience industry level composite fabrication methods in the Aerospace Engineering Capstone Program. NORDAM’s funding also enabled an independent study project investigating weight optimal structural design through combined FEA and physical article testing. These are just three projects that are currently happening directly because of NORDAM’s support, with budget remaining for DBF materials, tooling and project support. Along with the gift, NORDAM representatives will meet and advise the AIAA DBF capstone team for design reviews and for a final review at the end of the spring semester. On December 8th, the NORDAM representatives visited the team. Josh Giguiere, Raegen Siegfried and Holly Dyer met the team for a lunch meeting and a brief overview of the progress of their project. The next design review is scheduled for Thursday, February 18th. “This donation and the relationship with NORDAM offers a direct improvement to the readiness and quality of the AME graduates that will benefit both NORDAM and the University of Oklahoma in the years to come,” said Hays. Many thanks to NORDAM for supporting AME and the Aerospace Engineering Capstone Program! The AME Graduate Student Community holds a weekly seminar series hosting various faculty and graduate students. As the group hoped to expand the series, they applied for and received funding from OU’s Graduate College and Campus Activities Council Speakers Bureau, along with other contributors, to host Dr. Valerie Young. 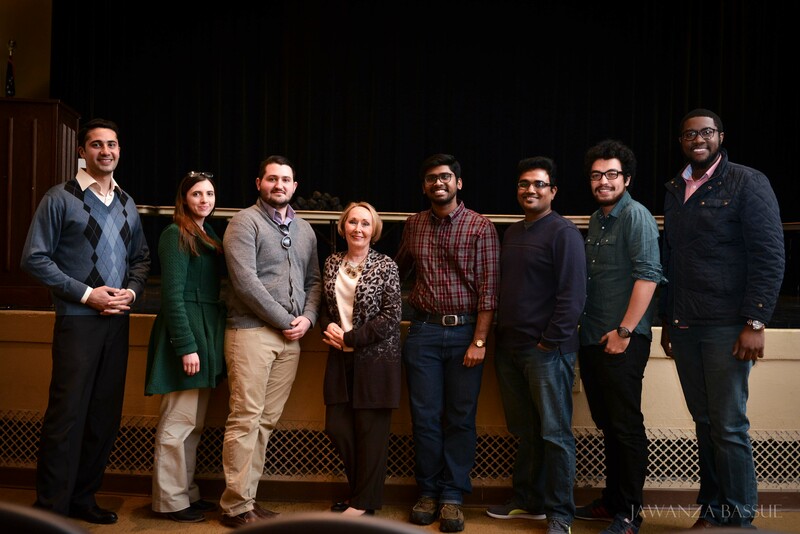 Dr. Young visited OU on February 4, 2016 for a presentation called Imposter Syndrome in the Meacham Auditorium of the Oklahoma Memorial Union. Imposter Syndrome refers to high-achieving individuals who are marked by an inability to internalize their accomplishments and suffer from persistent fears of being exposed as frauds. In addition to Young’s presentation, GSC and AME’s Student Advisory Council (SAC) planned an event to kick-off the presentation. Before the presentation, AME undergraduate and graduate students set up a show-and-tell style walk through featuring various research, projects and teams. The event was known as Celebrating Our Accomplishments. Together the two events were publicized as Celebrating Accomplishments and Not Being a Fraud. Both events were open campus-wide and free of charge. The day of the event participants arrived early to set up their builds and research posters. A steady flow of attendees passed through the event from 3:00-4:30PM. Dr. Young arrived and began her presentation at 5:00PM. 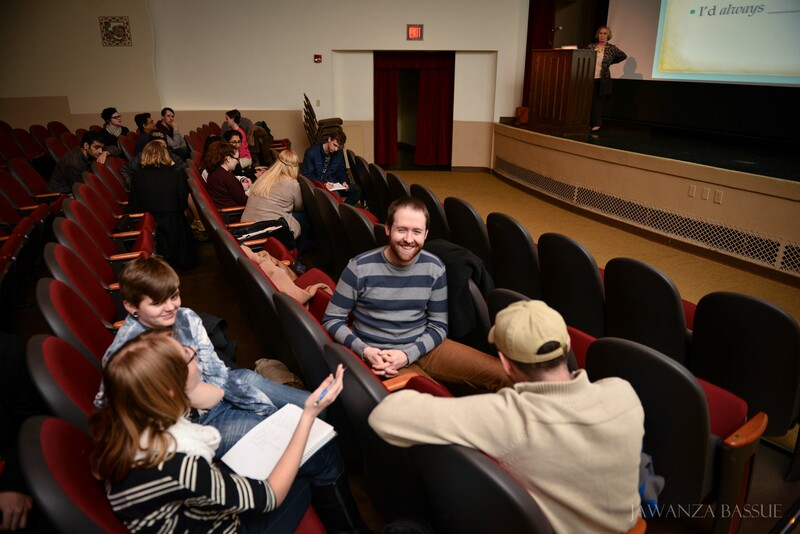 Her presentation took the form of an engaged discussion where participants were encouraged to form groups while interacting and exploring their feelings and interpretation of the impostor syndrome. Because Celebrating Accomplishments and Not Being a Fraud was a success, the GSC and SAC hope to grow the event as an annual occurrence with increased planning and further engagement of students. Photos compliments of Jawanza Bassue. To view additional photos from the events, please click here. 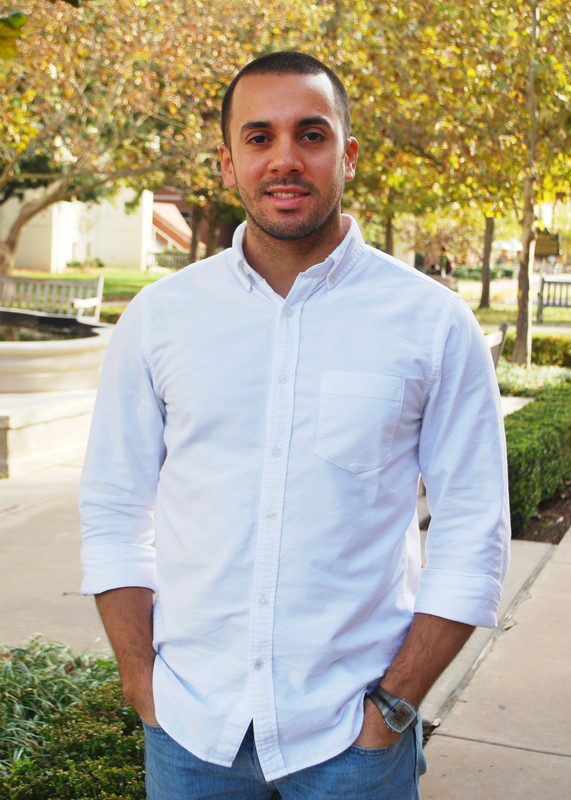 Alejandro Rivas is a graduate student pursuing a Master of Science degree in Mechanical Engineering working alongside Dr. Li Song. Recently, Alejandro received a joint scholarship from the Oklahoma City Community Foundation and the Central Oklahoma American Society of Heating, Refrigerating, and Air-Conditioning Engineers (ASHRAE). He is the current President of the ASHRAE student chapter at OU, and he also attends many Central Oklahoma’s ASHRAE meetings and activities in Oklahoma City. His research interests are in the field of energy efficiency, such as enhancing heating, ventilating, and air conditioning (HVAC) systems’ performance with new control techniques that provide high accuracy with lower cost, and also airflow measurement for variable air volume (VAV) systems under field and testing conditions. Alejandro is currently working with Dr. Song, Dr. Gang Wang, Jesus Elizondo and Wesley Thomas on a research project at Tinker Air Force Base, which is sponsored by the Department of Defense (DOD). The project is testing new technologies in flow measurement. With plans to graduate with his M.S. 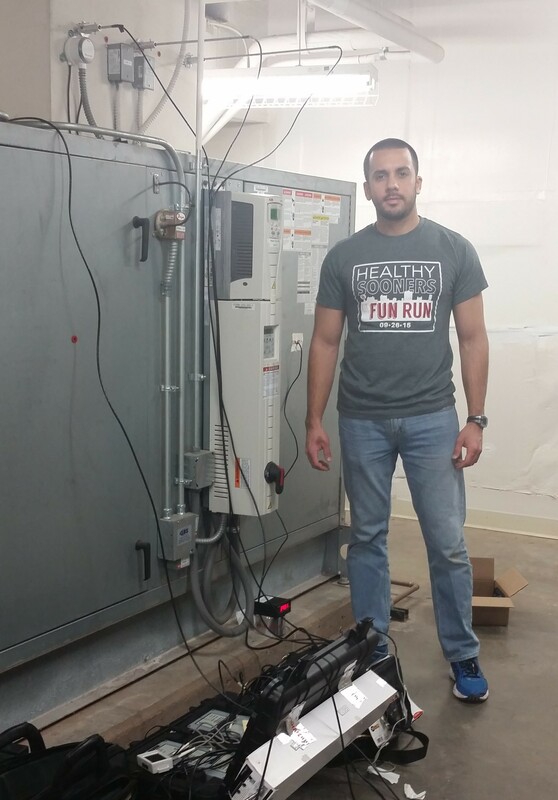 degree in December 2016, Alejandro hopes to find a full-time job as an HVAC Design Engineer in the U.S. He also hopes to acquire the Professional Engineering License, as well as the Leadership in Energy & Environmental Design Certification. Furthermore, his long-term goal is nothing short of vast. Alejandro is from Caracas, Venezuela. He received his B.S. in Mechanical Engineering and an M.S. in Reliability of Industrial Systems from the University Simon Bolivar in Caracas. After that he began working as an HVAC&R Engineer. Not long into his career, he realized there was a breach of information and experience that he wanted to fulfill through academics, which brought him to the U.S. in January 2015. He chose the University of Oklahoma School of Aerospace and Mechanical Engineering due to Dr. Song’s research. 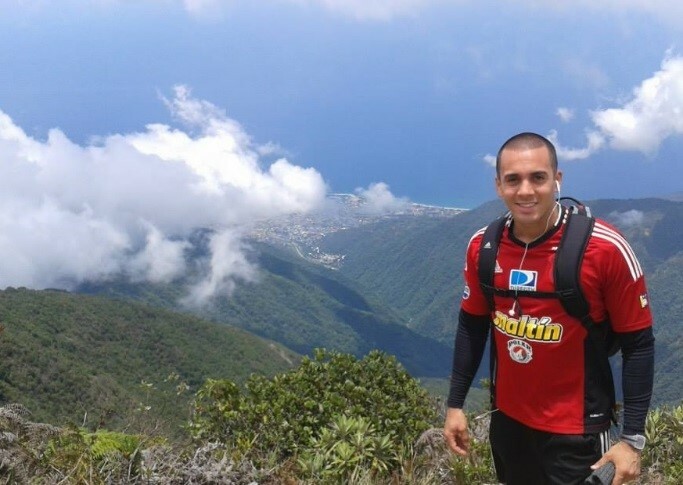 In addition to Alejandro’s research and academics, he enjoys spending time outdoors, especially at the beach and hiking in Venezuela. He also enjoys watching and playing sports. One of his favorite sports is baseball; he even played in college. Alejandro has a love for animals, especially his dog, Danna.